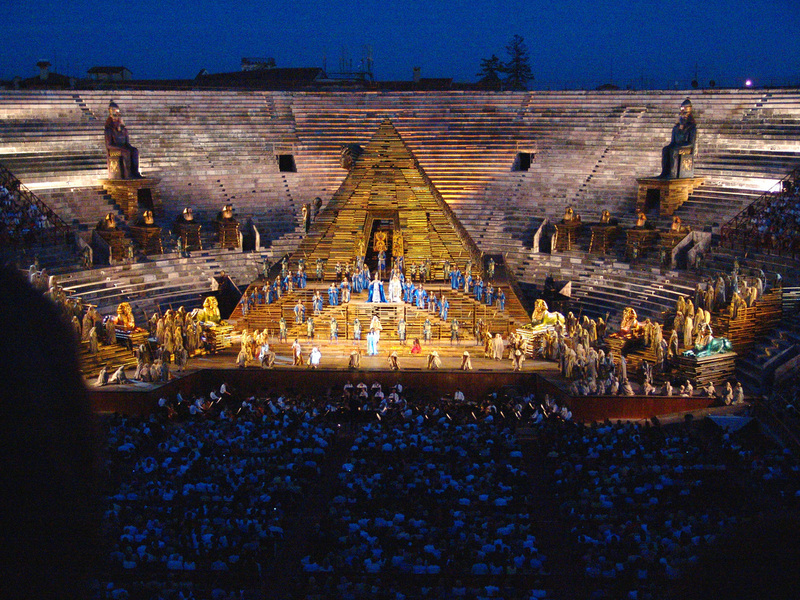 Setting of Aida: Verdi's Aida takes place in ancient Eygpt. Outside of the royal palace near Memphis, Ramfis (Egypt's high priest) informs Radames (a young warrior) that armies from Ethiopia are making their way towards the Nile valley. Radames expresses his hope of being appointed the commander of Egypt's army where he can lead his troops to victory, as well as rescue Aida, his Ethiopian lover captured by Egyptian troops. Unbeknownst to him, as well as the rest of Egypt, Aida is the daughter of Ethiopia's king, Amonasro. 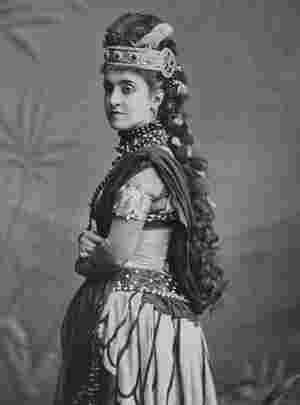 Since her capture, Aida has served as slave to the Egyptian princess, Amneris. Amneris is in love Radames, but senses he is in love with another woman. It isn't long before Amneris figures out who the mystery woman is when she sees the longing glances shared between Radames and Aida. 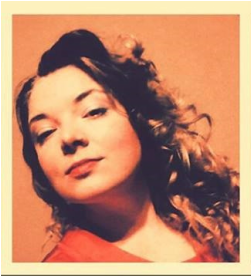 Able to hide her jealousy, Amneris continues to keep Aida as her slave. The king of Egypt arrives and announces that Ramfis' information was correct and that Ethiopian troops, lead by the King of Ethiopia himself, have already made their way into Thebes. The king appoints Radames as the leader of the army while simultaneously declaring war on Ethiopia. An overjoyed Radames makes his way to the temple to complete his coronation ritual. Left alone in the hall, Aida becomes distraught as she is forced to choose between her lover and her father and country. After their victorious battle, Radames and his troops are returning from Thebes. Inside Amneris' chambers, she has her slaves entertain her in light of the battle. Doubting her suspicions of Aida and Radames, she decides to test Aida. She dismisses all of her slaves except for Aida. She tells Aida that Radames has died in battle. Aida breaks down and confesses her love for Radames, to which Amneris becomes furious and vows revenge. Radames makes his triumphal return to Memphis as he and his troops march through the city. The captured Ethiopians follow. Aida rushes to her father, but he makes her promise not to reveal their true identities. The king of Egypt, so delighted with Radames performance, honors him by granting him anything he asks for. Amonasro declares that the King of Ethiopia has been killed, and asks the Egyptian king to set them free. The people of Egypt, however, chant for their death, and the King gives in to their desires. In order to save his lover's life, he cashes in on the King's generosity and asks the King to spare the lives of the Ethiopians. The King happily grants him his request and declares Radames his successor and future husband of Princess Amneris. Aida and her father remain in custody to prevent any Ethiopian revolt. As preparations are made for the upcoming wedding between Radames and Amneris, Aida waits outside of the temple for Radames in an previously agreed upon spot. Aida's father, Amonasro, pressures Aida to find out where the Egyptian army is kept. Feeling nostalgic for her homeland, she agrees to her fathers wishes. 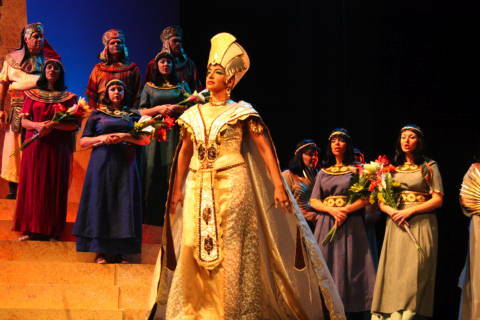 When Radames comes out of the temple to meet Aida, Amonrasro hides and eavesdrops on their conversation. Aida and Radames talk about their future lives together, and after Aida asks, he tells her where the army is located. Amonasro makes reveals himself and his identity just as Amneris and the high priest come out of the temple. When Aida and Amonasro escape, Aida pleads for Radames to follow them. Instead, Radames submits himself to Amneris and the priest as a traitor.